Tax withholding is a seemingly inevitable part of working, but there are exceptions, as shown by the following information about employees exempt from withholding. Generally, individuals employed by a school, college or university where they are also pursuing a course of study do not have to pay Social Security and Medicare taxes on wages earned at that institution. Certain classes of nonimmigrant and nonresident aliens are excluded from Social Security and Medicare taxes. They include holders of A visas, D visas, F visas, J visas, M visas, Q visas, G visas, and H visas. To determine precisely which nonimmigrant and nonresident aliens fall into each of these visa categories, visit the “International Taxpayers” section of the Internal Revenue Service’s website. Children who are employed by their parents (a Maine based family-owned business, or beyond) are exempt from FICA withholding until age 18. Those providing domestic services are exempt from FICA withholding until age 21. Wages paid to employees of foreign governments are exempt from FICA withholding. These employees include diplomatic and consular officers, nondiplomatic representatives and other foreign government employees working in an official capacity. Also, employees or officers of a qualified “international organization” are exempt from FICA withholding. 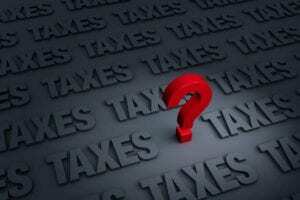 Most government employees are subject to tax withholding; however, there are some exceptions. For instance, election workers are exempt from federal income tax withholding — and from FICA withholding if they earn less than a certain amount for the year. Employees who perform domestic services in private homes or in college clubs (University of Maine, USM, or anywhere else for that matter), fraternities and sororities are exempt from federal income tax withholding. Generally, household employees are subject to FICA withholding if they earn at least a specific amount of wages for the year. For 2018, they were entitled to a refund of all federal income tax withheld because they owed no federal income tax. For 2019, they anticipate a refund of all federal income tax withheld because they do not expect to owe any federal income tax. To claim “exempt” from federal income tax withholding, employees must complete and submit Form W-4 to their employer. Keep in mind that this is just a general review of employees who are exempt from federal tax withholding. It is not exhaustive, nor does it include exemption rules for state or local tax withholding. Further, there are many nuances to consider. For instance, even though certain employees may be exempt from federal withholding, it doesn’t necessarily mean that they are exempt from paying federal taxes. Need help with employee taxes? We've got you covered.